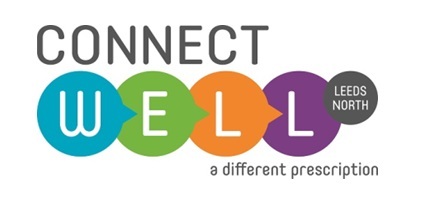 Connect Well is a new social prescribing service, which works in partnership with primary care to navigate people to relevant services and support groups within the community. Our aim is to connect people to services and activities in their community in order to benefit overall health and wellbeing. We believe that everyone can live a fulfilled life, however, sometimes people need help to achieve this. Feeling connected to your community has lots of health and wellbeing benefits that support resilience, independence and good physical and mental health. Our Wellbeing coordinators are based within GP practices providing 1-2-1 support over the phone and face to face. Community outreach from GP surgeries and other community locations is undertaken as appropriate. This short Connect Well video below explains more about the service. You can also download an information leaflet here. We accept self referrals or you can be referred by a GP/other professional. 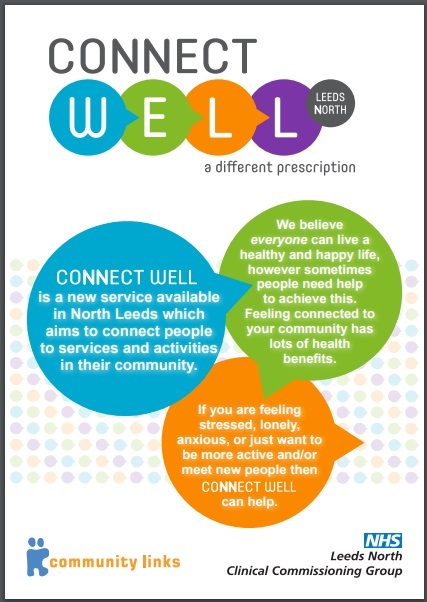 The service is available to individuals aged 18 and over registered with a GP in the North Leeds CCG area.